Recently, the rollout of the Affordable Care Act (“ObamaCare”) has gotten quite a bit of attention. Much of the discussion has been about numbers. Since numbers frequently play a significant role on the LSAT, I figured this would be a great opportunity to talk about how we should view numbers and percentages on the test. To be very clear, this is not a political piece, and we at PowerScore take no political position. Solely from the perspective of what is helpful on the LSAT, there are many different topics we could cover, but I’d like to pull out three main ideas: 1) small percentages do not necessarily equate to small numbers; 2) definitions matter; and 3) be cautious of comparisons based on numbers. In essence, all three points will come to the same basic idea: be skeptical, because context matters. So that’s the universe we’re talking about, 5% of the population. And I think the it’s important to know that, because in some of the coverage of this issue in the last several days, you would think that you were talking about 75% or 80% or 60% of the American population. So there’s that. Carney’s defense of Obamacare was broader than this one comment. But the relevant portion of his statements for the purpose of this post is the implication that since only 5% of the population was being subject to the cancellations, etc., complained of, then it was not a big problem. However, as many have pointed out, 5% of the United States population may be a small percentage, but it is a large number. I checked the official population estimate when preparing this post, and found it to be 317,065,683, 5% of which equals 15,853,284. That’s 15 million people. On the LSAT, when you see a small percentage, don’t assume it necessarily corresponds to a small number, and vice versa. And, tread carefully when you see an argument that relies on percentages without providing the context necessary to determine what those percentages mean in terms of numbers. Health insurance plans only count subscribers as enrolled in a health plan once they’ve submited a payment. That is when the carrier sends out a member card and begins paying doctor bills. When the Obama administration releases health law enrollment figures later this week, though, it will use a more expansive definition. It will count people who have purchased a plan as well as those who have a plan sitting in their online shopping cart but have not yet paid. “In the data that will be released this week, ‘enrollment’ will measure people who have filled out an application and selected a qualified health plan in the marketplace,” said an administration official, who requested anonymity to frankly describe the methodology. The disparity in the numbers is likely to further inflame the political fight over the Affordable Care Act. Each side could choose a number to make the case that the health law is making progress or failing miserably. So, definitions matter. In the context of the LSAT, and ignoring issues of diversity on the test, imagine a stimulus with the conclusion: “So, Obamacare has so far been a success.” Think of all that could be done with a question like this. For example, you could have an Assumption question in which the correct answer choice is something like “those who filled out an application will not fail to pay the premium required for the plan.” You can easily envision Strengthen, Weaken, Justify the Conclusion, Method of Reasoning, and Flaw in the Reasoning questions as well. While the rollout of the Obamacare site, healthcare.gov, has been…problematic, the administration has made efforts to rehabilitate public perception of the rollout by comparing it to the rollout of Romneycare, the Massachusetts health care program on which Obamacare was, to some extent, based. Former Romney adviser Cindy Gillespie, who played a lead role in developing the Massachusetts law, also told Fox News she sees no parallels between the two rollouts. She said the sign-up process in the Bay State went relatively smoothly and was implemented in phases. In November of 2006, Commonwealth Care enrollment began for the residents that were already enrolled to receive “free care” in Massachusetts hospitals. In February of 2007, the state began enrolling residents with annual incomes between 100-300 percent of the federal poverty level, who would receive subsidies to buy Commonwealth Care plans. In July of 2007, the market opened for non-subsidized people above 300 percent of poverty level. Gillespie said that, to ensure a smooth rollout, they purposefully did not launch a massive IT system without phasing or piloting. “Our enrollment numbers were tied to deliberative phasing and at each phase the enrollment happened like it was supposed to,” she said. Even according to the Washington Post’s Fact Checker, the comparison is a bit misleading. The Post concludes that the comparison involves “[s]ome shading of the facts…. Some omissions and exaggerations, but no outright falsehoods.” Accordingly, the Post awarded the statement a 1 Pinocchio rating. The Boston Globe also published an article desribing some of the difficulties in drawing comparisons between Obamacare and Romneycare. Just like we need to dig into the context to decide whether the administration’s comparisons of the Obamacare and Romneycare rollouts are valid, we need to be cautious on the LSAT when we see conclusions drawn by means of comparison. The comparisons may be valid, as may be the conclusions. 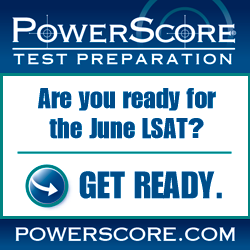 But, just like in real life, the LSAT often will hold back some of the context we need to make an informed analysis. So, the bottom line on the LSAT and in real life: stay skeptical and demand context.